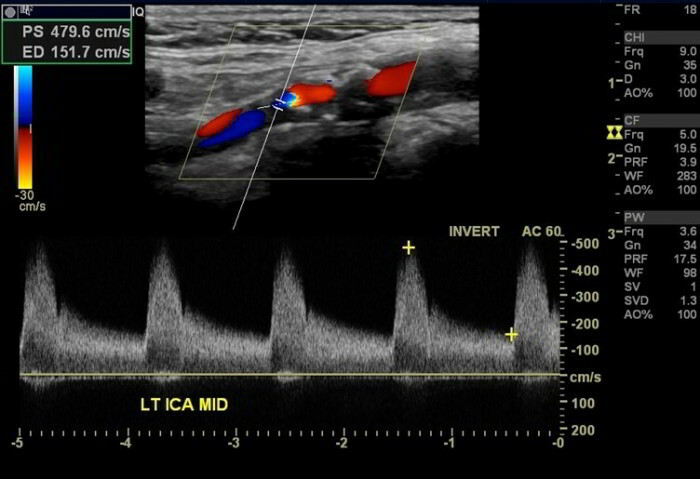 Carotid Doppler scan uses ultrasound to look at the flow of blood through blood vessels in the neck. It’s usually used to inquire illnesses like transient ischaemic attack or stroke. Ultrasound waves from a transducer create an image of the blood flow, which can show narrowing of the carotid blood vessels in the neck. Scan takes about 20 minutes and is painless and safe. In a carotid Doppler scan, the technician sets the ultrasound transducer on among the carotid arteries to look at the flow of blood through it.